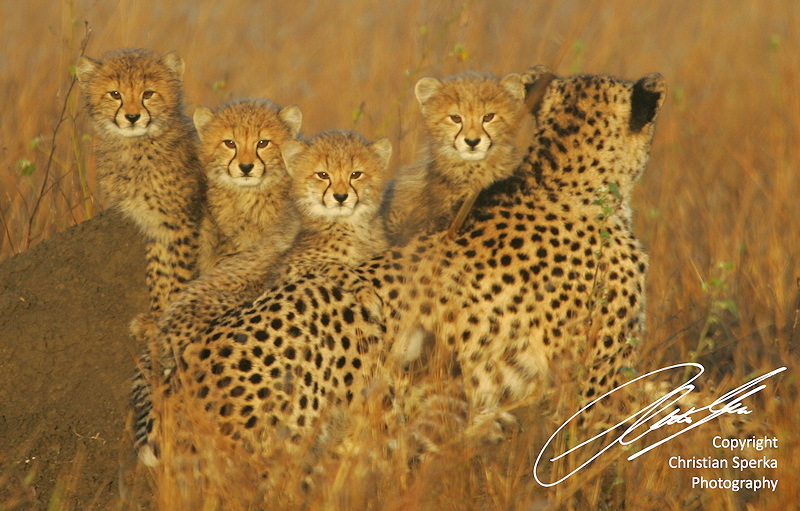 This week’s picture is of four Cheetah cubs looking straight into my camera at sunrise on a cold winter morning. The picture was taken at on Mziki Marsh, my favorite area on Phinda Private Game Reserve, Kwazulu Natal, South Africa. The Cheetah (Acinonyx jubatus) is a large-sized cat inhabiting most of Africa and parts of the Middle East. It is the only cat with semi-retractable claws. Cheetahs achieve by far the fastest land speed of any living animal – between 110 and 120 km/h (70 and 75 mph) in short bursts covering distances up to 500 m (1,600 ft), and have the ability to accelerate from 0 to over 100 km/h (62 mph) in three seconds. Females give birth after a gestation period of ninety to ninety-eight days. The average litter size is three to five. Cubs are born with a downy underlying fur on their necks, called a mantle. This gives them a Mohawk-type appearance. This fur is shed as the cheetah grows older. It has been speculated this mane gives a Cheetah cub the appearance of the honey badger, to scare away potential aggressors. Cubs leave their mother between thirteen and twenty months after birth. Life span is up to twelve years in the wild, but up to twenty years in captivity. Unlike males, adult females are solitary and tend to avoid each other. 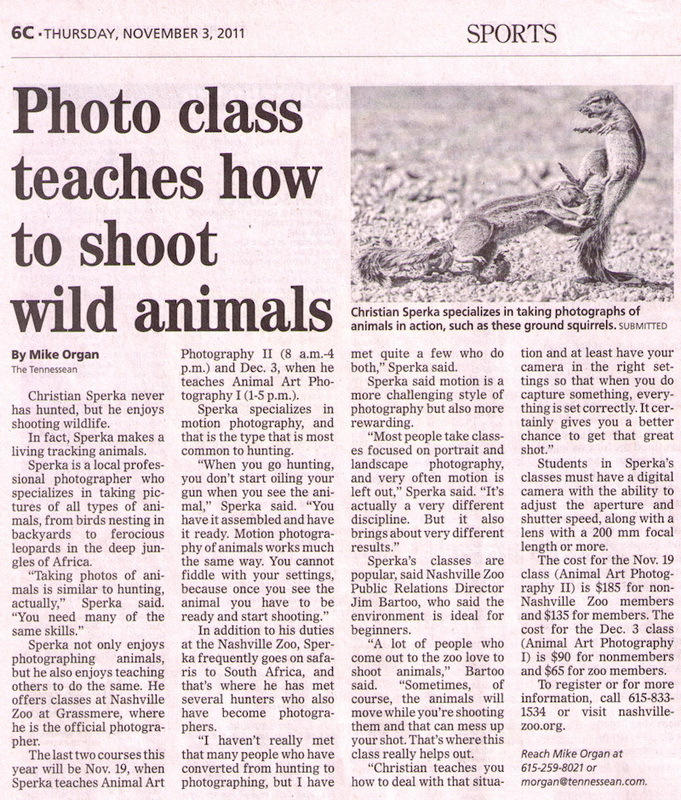 Today The Tennessean (local Nashville newspaper) published an article about my photography classes at the zoo. 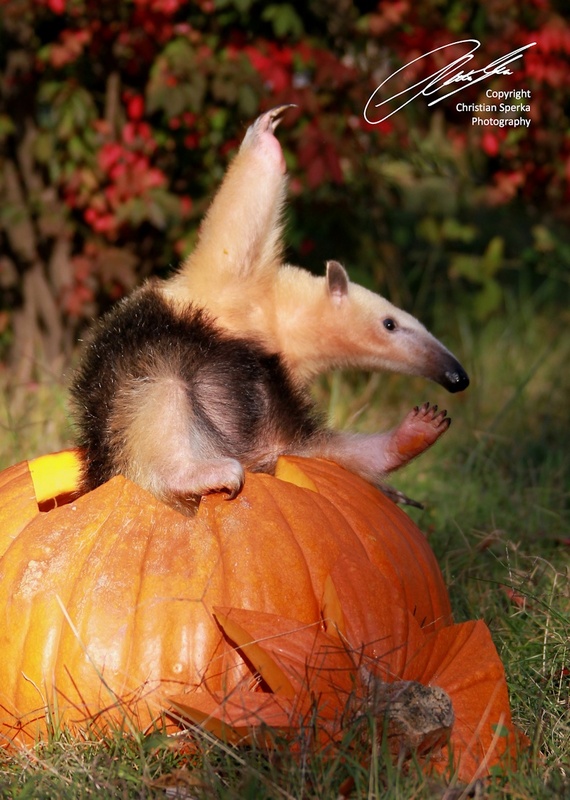 Tamandua is a genus of anteaters. It has two members: the Southern Tamandua (Tamandua tetradactyla) and the Northern Tamandua (Tamandua mexicana). They live in forests and grasslands and possess partially prehensile tails. They mainly eat ants and termites. In captivity, they will eat fruits and meat. They have no teeth and depend on their powerful gizzard to break down their food. 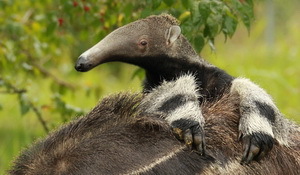 Besides the tamanduas, there are two other anteaters, the Giant Anteater and the Silky Anteater. Tamanduas are much smaller than the Giant Anteater, but are larger than the Silky Anteater. The word tamanduá is Tupi for “anteater”, and in Tupi and Portuguese refers to anteaters in general. The tamandua is called in those languages tamanduá-mirim (mirim means “small”). A very special exhibition awaits you at the Animal Art Photography Gallery on November 5, 2011 (at the First Saturday Gallery Crawl). 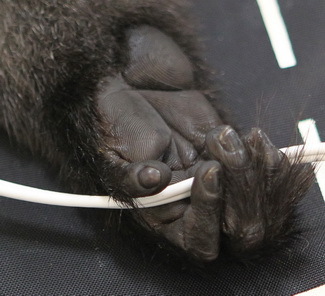 I have selected images documenting the excellent veterinarian animal care at the Nashville Zoo. Many of these – never before published – images were taken at procedures behind the scenes at the zoo. Dr. Heather Robertson, Senior Veterinarian at the Nashville Zoo, will talk about the work of the vet staff in a short presentation (at 6:30pm, 7:15pm, 8:15pm and 9:00pm). 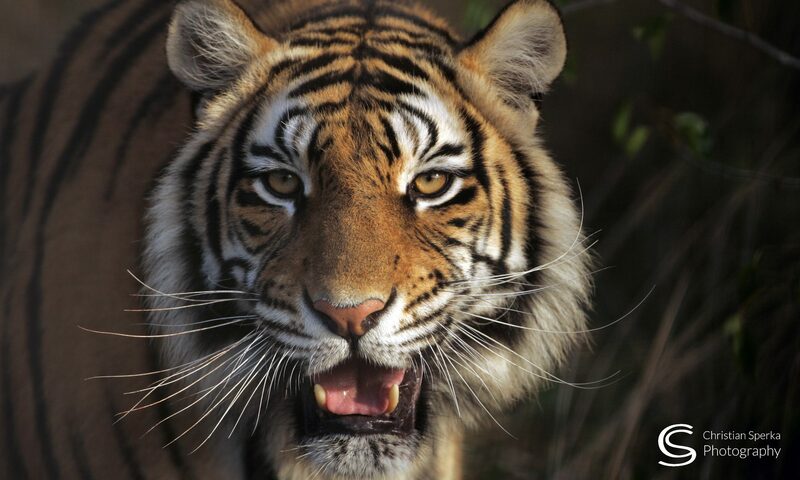 She and other members of the Nashville Zoo staff will be there all evening to answer your questions. A special guest, one of the over 2000 patients of Dr.Robertson, will make her appearance (together with her animal keeper). Do not miss this exhibition of fascinating images! I am looking forward to seeing you on Saturday. To all dog owners among you! 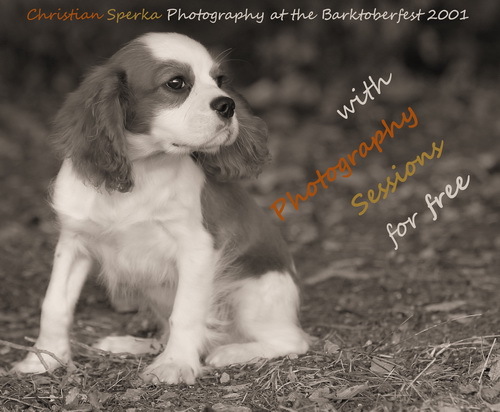 I will be taking dog portraits for free at this year’s Barktoberfest in Nashville (October 22, 2011 from 3-6pm at Lennox Village). 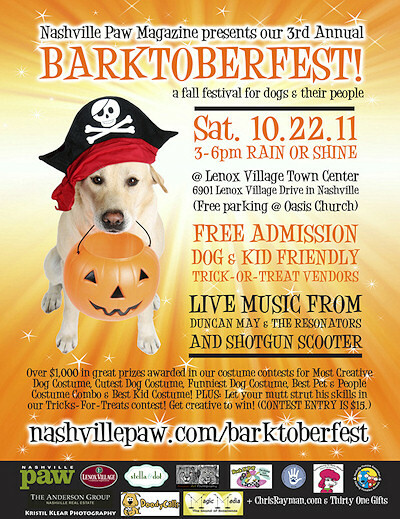 Come and join the fun at this Halloween-themed fall festival for dogs and their people. I am looking forward to seeing you on the 22nd! This week’s picture is of Giant Anteaters at Nashville Zoo at Grassmere, Nashville, Tennessee, USA. The “little one” is still riding on his mom’s back, even if he is not so little any more :-). The young male weighs already over 30 pounds. He was born on April 24, 2011. Tiana and Mochila reside in the Giant Anteater (off-exhibit) breeding facility at the Nashville Zoo. The Giant Anteater, Myrmecophaga tridactyla, is the largest species of anteater. It is found in Central and South America from Honduras to northern Argentina. It is a solitary animal, found in many habitats, including grasslands, forests and rainforests. It feeds mainly on ants and termites, sometimes up to 30,000 insects in a single day. The giant anteater is one of few mammals without any teeth. An anteater crushes insects it consumes using hard growths found on the inside of its mouth. They have an average body temperature of 32.7C, which is one of the lowest of all land-living mammals. It grows to a size of up to 7 feet (2.1 m) in length. It weighs from 65 to 140 pounds (29 to 64 kg). full coat of hair and adult-like markings.